Lemon barley water is an old-fashioned tonic that was given to the weak as an alternative source of nourishment. As a child, my mother would be served breakfast in bed when she was under the weather. On her breakfast tray, would be a vase with a fresh rose in it, a boiled egg and Vegemite toast and a bottle of lemon barley water to help buoy her spirits. 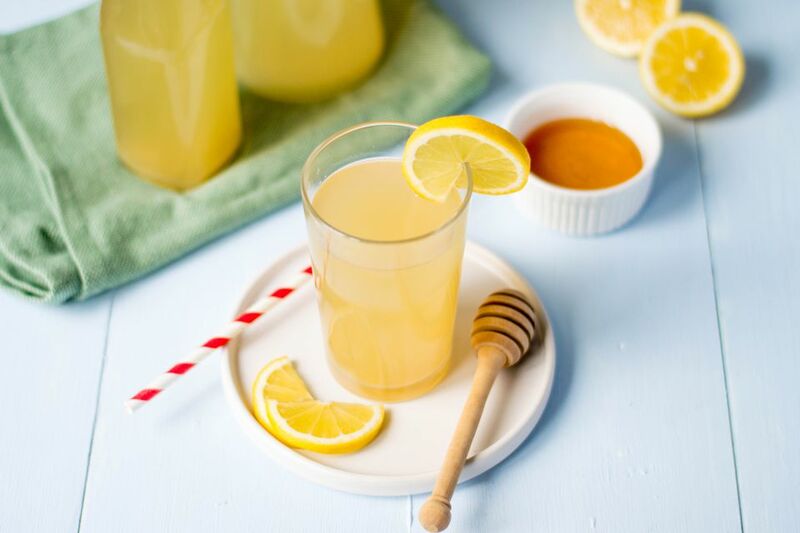 Some people use sugar in their recipes, but try honey for a more intense flavor. If you have any ginger handy, finely grate about 1 tablespoon of it and boil it with the barley for a gingery kick. Pearl barley or pearled barley is the variety best suited for this recipe. Pearled barley just means that the bran has been removed through a polishing process and has been steam treated for quicker cooking. Place the barley in a sieve and rinse under cold water until water runs clear. Place barley in a 2-quart saucepan with grated lemon zest and 6 cups of water. Bring to a boil over medium heat. Once boiling, reduce heat and simmer for 10 minutes. Strain mixture into a heatproof bowl. Discard the barley. Add honey to bowl and stir to dissolve. Stir in lemon juice and then let the mixture cool to room temperature. Drinking barley water for health reasons dates to the ancient Egyptians. Barley is loaded with B and E vitamins, antioxidants and 8 g fiber per 1/4 cup raw. Australians and Asians all have their own varieties drunk either chilled or warm. Just as brown rice is considered a healthier alternative to white rice, barley trumps brown rice. It cooks a little differently, so follow the tips below. Barley takes much longer to cook (about an hour for 1 cup of dry barley) than white or brown rice. Barley requires more liquid than white or brown rice (3 cups of water per 1 cup of dry barley). Barley is meant to have a bite to it (be al dente). If you prefer more tender barley, soak it overnight using 2 cups water to 1 cup dry barley). When ready to cook, drain it and bring 3 cups water for every 1 cup soaked rice to a boil. Reduce the heat, cover, and simmer for 15 minutes. For variety, try using chicken, beef or vegetable broth instead of water and add chopped onion, minced garlic or fresh chopped herbs.